New York is brimming with creativity and uniqueness. There’s a reason people jam into our streets and shops from all over the world to do their holiday shopping. We’ve got the best of the best right outside, which is why we have so much fun putting together our city gift guides for all of the cool friends in your life. Whether you’re looking for an experiential gift for your local galpal, or a themed gift for your New York aficionado, we’ve got your back with the gifts below! Laundry is nobody’s friend in New York. Whether you travel to the depths of despair of your apartment basements to fight for the industrial machines, or you pay an arm and a leg to get all of your socks lost by a professional, it ain’t fun. Luckily, there’s a hassle-free option in town called Cleanly, a hassle-free service with door-to-door service, which is the perfect gift for your busy NYC friend. Use code “cleanbitches” at checkout for $10 off your first order! 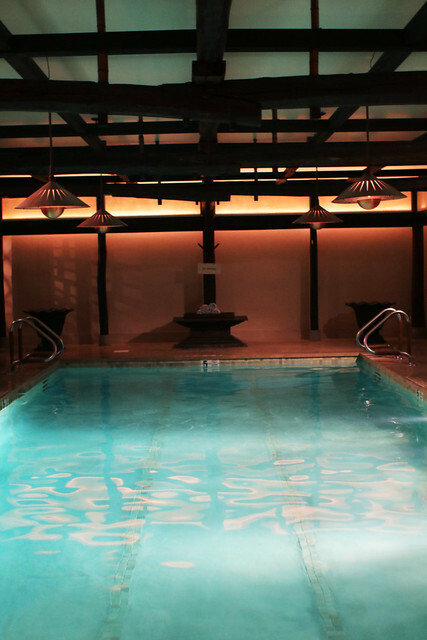 Earlier this year, we got to experience a seasonal soak and specialty massage at Shibui Spa at the Greenwich Hotel, and it was life-saving. We started our day with complimentary yoga, and finished with a swim in the gorgeous indoor pool. If you want to gift something truly special, book a service here for the holidays. We’re always fluctuating between different brands of mediocre mascara, which is why we jumped for joy when we discovered there was a service in the city that designed custom mascara just for you. Eyeoko has a bar at Bloomingdale’s dedicated to bespoke mascara, which is a fun experiential gift for you and a gal pal. Dean & Deluca has been a local food purveyor since 1977, and it’s a brand New Yorkers know and love. For some great food gifts that represent some of the best of our fine city, check out items like TWG’s New York Breakfast teas ($34), Eleni’s New York themed cookies (18 for $75), local pickles from Brooklyn Brine Company ($14), and frozen pizza from the super famous Roberta’s ($39, set of 2). We are big fans of putting together a gift that takes time and thought, and Dean & Deluca is your one-stop shop for those fancy city exclusives. You all know how much we love Maman (read our review here), so you can imagine how thrilled we were to discover they had launched their e-commerce store for us to finally buy the ceramics and table goods we’d been drooling over all meal! From their ridiculously good chocolate chip cookies, to their ceramic mugs to go, their online market is as well-curated as their cafes. It’s nice to go into a salon that doesn’t reek of chemicals or leave you wanting to take a shower. Strange pedicure gel, be gone! Check out Tenoverten for the best non-toxic nail care gift in the city. The aesthetically-pleasing salon just feels fancier, and the harmless products only add to this treat of a gift. Sometimes, hanging out of your unsatisfying city bathtub just doesn’t cut it. Why is why we often find ourselves at Tribeca Aires Baths, fluctuating from cold plunge to candlelit hot pool on those cold winter days. The price tag is worth the pleasure of space to swim around with friends, and the optional massage services don’t hurt!